Jeremy Noble is in the midst of the best season of his career, 75 points in 17 games. Though Noble is a star on the field he is one of Colorado’s favorites for much more than his skills. 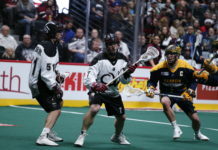 Earlier this evening Noble placed second in fan voting for which player best embodies the spirit of the Mammoth organization. 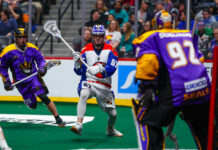 Noble showed his unmatched passion and toughness throughout the game especially during a second quarter fight which he then followed with a nice assist and goal later in the second half. 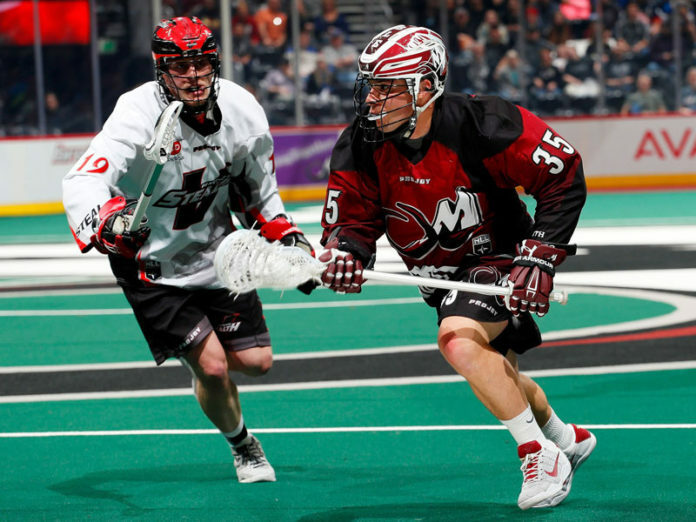 In the ninth annual Lacrosse Out Cancer game the Colorado Mammoth stumbled to the New England Black Wolves 10-6. Despite taking a difficult loss, this night meant much more than wins and losses for Noble. “It’s a special event for sure. I think everybody in this world is kind of affected by cancer in different situations. There’s just so much more to life than lacrosse and for us to just honor those guys and try to go out there and play for them. It’s a special night and I’m just lucky to be apart of it,” Noble said. Playing in his fourth ‘Lacrosse Out Cancer’ game, Noble has been able to share his positive spirit with those who are battling cancer. 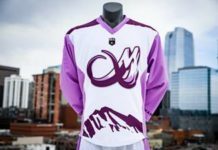 From wearing the names of patients on his jersey, to visiting patients at Rocky Mountain Hospital for Children, Noble has been able to make a difference in these patients lives and put a smile on their face during their difficult journeys. With playoffs fast approaching and a career year in hand, Noble has still done his part in making a difference within the Denver community. Like he’s done all year Noble continues to impress on and off the field proving why he has earned the right to be a fan favorite here in Colorado.